In today’s post on Protein Hunter we break down thedivision for you so you won’t be left wondering anymore! Classic Physique is for guys who want to take their muscularity and size beyond the limits of Men’s Physique, but not quite to the extremes of Bodybuilding. The sport is constantly evolving as the athletes find new ways to express their physiques and the NPC prides itself on offering a platform for these athletes to realize their competitive goals. Classic Physique will highlight proportion, symmetry, pleasing lines, and a small waist. In short, the focus will be on aesthetic qualities in harmony with muscularity and condition. It has been hugely inspired by the bodybuilders of years gone by, people such as Frank Zane, Steve Reeves and Larry Scott to mention just a few of the classic physiques of old. 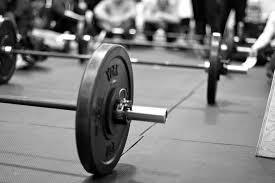 It is a version of bodybuilding for those male athletes who don’t want to develop their muscles to the extremes of Men’s Bodybuilding, but prefer a lighter classic physique look. Since muscle mass has now been limited, special attention is paid to the overall view of the physique, body proportions and lines, muscle shape and condition. it is often overlooked by many people in what they aspire to be, due to the almost freak like nature of the competitors in their size and definition. This is where Classic Physique comes into its own. It is a much more attainable and healthy look for people and some would say more pleasing on the eye than the Men’s Bodybuilding category. Classic Physique is still really fresh and made its debut at last years Mr. Olympia. It is still up for grabs in terms of who is going to be the front runners for prizes in this division for years to come. It has been debated for some time what the ideal physique is and the popularity of the Mens Physique is growing by the day since its introduction to the Olympia stage. In recent times, especially in the pro leagues of Men’s Physique, it has been debated that the limits competitors are taking this to now in relation to muscle mass. So, it has now been questioned if the current elite of Men’s Physique competitors are becoming ‘too big’. We feel this is probably why Classic Physique has been created and rightly so in our opinion. In days gone by we all admired how great people such as Frank Zane looked but nowadays Frank would not be winning the Men’s Bodybuilding division of the Mr Olympia due to the way the competition has evolved since the Golden Era of Bodybuilding in the 90’s. The Men’s Physique division with all its quality and grace it brings the competitors are not able to showcase all the hard work they put in on their legs days. It only made sense in our opinion to bring a division in between the mass monsters of Men’s Bodybuilding and the aesthetically pleasing Men’s Physique, and that was to introduce the Classic Physique division. Also there are height:weight ratios being set in this division which will bring some limits to the competitors which we feel will make this so competitive overall. We discuss the official height and weight ratios a bit later in the article. The Classic Physique division feels like you’re going down memory lane, hence why we think it’s been a success so far. It brings back memories of the greats from years gone by. The overall aesthetic yet muscular look of these greats below are what we are sure today’s competitors are going to strive to achieve. Below are a few examples of past greats who would make today’s grade in the Classic Physique division. Chris Dickerson won the Mr Olympia contest back in 1982 with this well proportioned aesthetic physique. 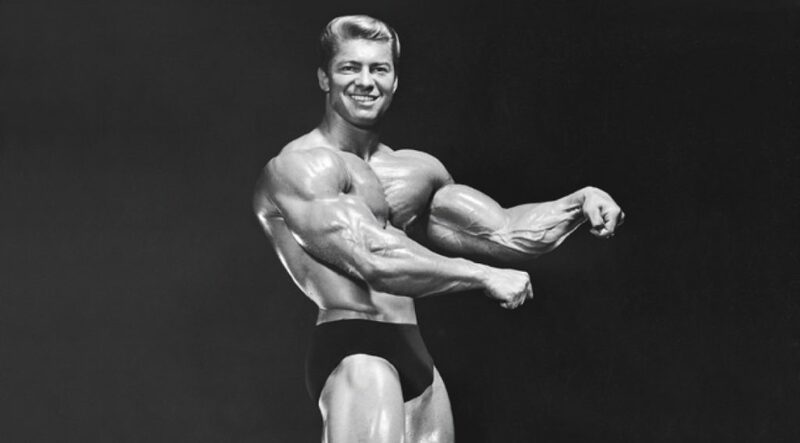 Larry was a two time Mr Olympia back in 1965 (It’s inaugural year) and 1966. Again a great ‘Classic Physique’ here which would hold its own in today’s contests. Frank was crowned three time Mr Olympia in the years 1977, 1978 and 1979. Frank has arguably one of the greatest ‘physiques’ there has ever been. When people ask about the new Classic Physique division, people often explain the look people are going for is the ‘Frank Zane’ look and here at Protein Hunter we do feel Frank is the definition of the ‘Classic Physique’. The new Classic Physique division appears like its going to take off this year. Due to it being such a new division there is not any stand out competitors as of yet. I am sure after the next Mr Olympia and Arnold Classic this will not be the case when we start seeing what the judges are really looking for! Something which does appear different in this division which makes it more exciting and definitely a must watch is that competitors from different divisions are considering the switch whether that be to move up or down in their respective divisions they currently compete in now. Here below are a few competitors who qualified for the Mr Olympia Classic Physique contest last year. These few have decided to make the change whether that be up or down in weight and even if this case to come out of retirement or not! Sadik was born on June 8th 1987 in Bosnia and Herzegovina but moved to the US as a child to avoid the conflict happening at the time in his home country. He’s since become a huge name in bodybuilding, especially within the popular Men’s Physique division. Sadik is the 2015 Arnold Classic Men’s Physique champion and also two time runner up at the Mr Olympia Men’s Physique showdown. However last year he decided to take the plunge and switch to Classic Physique. After missing out on the Men’s Physique version of the Mr Olympia after being two time runner up to Jeremy Buendia, Sadik was unable to grasp the Classic Physique Mr Olympia title this year but finished in a respectable 3rd place. In the run up to the competition, Sadik had been working closely with Frank Zane to try and emulate the Zane’s previous success and Zane himself has said that Sadik could go all the way to the top. With obvious improvements he can make, we feel he will be back stronger than ever for the 2017 Classic Physique. Darrem Charles was born on July 22nd 1969 in Arouca, Trinidad. He might not be a name that immediately jumps out to you as someone you know, but Darrem is an IFBB professional bodybuilder who was retired but has decided on a U-turn and is going to make his comeback at last years Mr Olympia Classic Physique. Darrem has plenty of experience of competing in bodybuilding contests he has competed in almost 70 professional bodybuilding shows. Some of his career highlights were a 1st place at the New York Pro Championships in 2005, as well another two 1st places at the Toronto Pro in 2004 and 2005. His best placing in a Mr Olympia was 7th back in 2003. Darrem feels he can make the correct adjustments to his physique to compete in the Classic Physique division and hopefully get himself the top prize. Whilst he wasn’t quite able to win, he finished a respectable 5th in a division that was always going to be wide open in it’s first year. Stan was born on July 12th 1973 in Yokosuka, Japan. He is an IFBB professional Bodybuilder who has competed in over 20 professional bodybuilding contests. Stan has competed in the Mr Olympia 212 contest twice. His best finish was 7th in 2011. Stan has many other bodybuilding titles throughout his career at different weight classes such as welterweight, middleweight and light-heavyweight. Stan is well known for featuring on many magazine covers throughout his career, he has featured on magazines such as Planet Muscle and Muscle and Fitness. With Stan’s flexibility of shifting weight divisions throughout his career it does seem that the Classic Physique could be a good contest for him to shine! The beauty of the division is that still really don’t have no idea who is going to come out on top! If you think there is anyone we should definitely be adding to the list however, please let us know in the comments at the bottom of the page. Classic Physique sets a few height and weight limits for it’s competitors. All the classes will be judged as one open class. Here below are the official IFBB rules for the men’s Classic Physique competition. Classic Physique will contain 5 mandatory poses. To start, the entire lineup is called onto the stage in numerical order and will form in equal numbers along diagonal lines at each side of the stage with the center of the stage being left clear. The head judge will then direct groups of competitors in numerical order through the quarter turns and mandatory poses. Each competitor will get 60 seconds to perform the poses described above. The head judge then directs selected competitors through callouts, during which the selected competitors are compared against each other, again through quarter turns and mandatory poses. For those lucky enough to make it past the judging round, final callouts are held. During this time, classic physique competitors will get the chance to showcase themselves by performing a posing routing to music of their choice up to a maximum time of 3 minutes. After the posing routines, the entire lineup will be called onto the stage, again forming along diagonal lines with the center stage area left clear for callouts. For the callouts, the head judge will direct selected competitors through, where they will once again be compared against each other through quarter turns and mandatory poses. After these callouts, the competitors will then perform a posing routine for a further minute to music of the promoters choice. Classic Physique competitors must follow a certain set of rules when competing. For all rounds, competitors must wear solid black posing trunks that are clean and decent. They must be made of spandex material and cannot be shiny, rubberized, velvet, metallic or any other kind of material. There can be no padding anywhere within the trunks, and no advertising of any kind unless these are small manufacturer logos such as Nike, Under Armour and so on. Your competitor number must be securely attached to the left side of the trunks at all times. You are allowed no artificial aids to your physique and the use of props during judging or the finals is strictly prohibited. Vulgar, profane and/or offensive language in the posing music is prohibited. So make sure to choose a song that you enjoy, you can pose to but be careful with your choice. As always, make sure to check out the official IFBB rules, as what we describe here could change at any time, especially as the Classic Physique division grows and matures. Slowly there are becoming Classic Physique competitions hitting the stages around the world. Most shows now both in amateur and professional leagues are adding this class to the itinerary. As we mentioned earlier in the article it will be making its debut at this years Mr. Olympia and no doubt will be a class which is there for many years to come. The NPC have held Classic Physique shows recently and below are the ways to gain points to qualify for the ultimate show…. the Mr Olympia Classic Physique!! Classic Physique is no different to any other class in the Mr Olympia when it comes to qualifying. The Olympia Qualification Series awards points to competitors placing 2nd to 5th at IFBB Pro League competitions. At the end of the Olympia qualifying season, the five competitors with the highest point totals qualify to compete at the Olympia. Ties in 5th place are broken in favour of the competitor with the better competition placings over the qualifying season. Since the winner of each competition automatically qualifies, no points are awarded for first place. Additionally, competitors placing in the top 5 at the Olympia automatically qualify for the following year. Full details of points and qualifications in the Olympia Qualification Series can be found on our Mr Olympia article. The results are in and we now know who won the first ever, 2016 Classic Physique Olympia competition! Relatively unknown to us, Danny Hester came out victorious in the 2016 Classic Physique contest, with Arash Rabar in 2nd and Sadik rounding out the top 3. Danny seems to have quietly flown under the radar leading up to this event, but has been on the bodybuilding scene for a long time and has over 25 years of training under his belt.